Synopsys invites applications from fresh BE/Btech, ME/MTech passouts for the Internship Opportunity with the company on software development for internal monitoring tools. Qualification: Candidate should be a BE/BTech or a ME/MTech passout from any recognized university in India. Posted in All Branches, Any Stream, Apply online, Freshers, Internship, Mtech, With experience, Without Experience. Tags: 3 months Internship, fresh BE/BTech, Internship Noida, ME/MTech, noida, synopsys Internship on May 1, 2014 by Lalit Joshi. 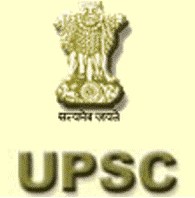 Union Public Service Commission(UPSC) is inviting Online Applications from young and talented Engineering Graduates/Post Graduates for the current openings in the organization. Posted in Apply online, Computer Science, Electrical and Electronics, Electronics and Communication, Freshers, Job After Btech, Jobs after ME/ MTECH, ME, Mechanical, Mtech, With experience, Without Experience. Tags: Apply online, Assistant professors Openings, DELHI., fresh BE/BTech, ME/MTech, UPSC for Engineers, UPSC hiring Assistant Professors, UPSC Jobs on March 11, 2014 by Lalit Joshi. IBM India will be conducting a Joint Campus recruitment drive for 2012 and 2013 passouts. Posted in All Branches, Any Stream, Apply online, Freshers, Job After Btech, Jobs after ME/ MTECH, MCA, ME, Mtech, Off campus recruitment, Systems Engineer, Without Experience. Tags: 2013 Passouts, 4th February, 5th February 2014, BE/Btech, chandigarh, IBM India, MCA 2012 passouts, ME/MTech, Off Campus drive on January 24, 2014 by Lalit Joshi.